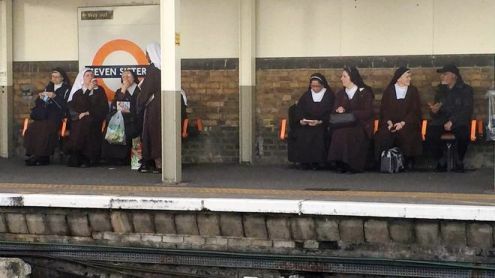 In March 2017, some Carmelite nuns were making their way home via a north London underground station. Carmelites are an enclosed order, so it was unusual for them to be out (they had been to a meeting with the Archbishop of Westminster); but that wasn’t what spurred a young commuter to photograph them on his phone. The station was Seven Sisters. The picture was posted online and went viral in no time. Mattson was born in Winnipeg and brought up in Edmonton, Canada. She spent her childhood summers in Saskatchewan with her Finnish grandparents and has written, in her prize-winning first collection (Maria Breaks Her Silence, Coteau, 1989), the life of a 19th century Finnish woman living in Canada. Her second collection, Writing with Mercury (Flambard, 2006) and her presence the same year in Shoestring’s anthology Take Five established Mattson as a poet who strides from Canada to Finland, Italy and England, taking a variety of subjects and voices with her. If, like George Bernard Shaw, she showed her fondness for her native land by leaving it, the roots of her poetry are still deeply in the places of her family and early years. Finns and Amazons (Arrowhead, 2012) gave poetic voice to her great-aunt Lisi’s letters sent from Karelia to Saskatchewan in the 1930s. 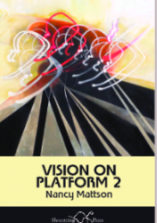 Mattson’s poetry has an apparently effortless elegance, easy on the eye and ear, with wonderfully unobstrusive use of symmetry and refrains. in a lumpen walk to the watering hole. stick and twig is a story we must tell. every scar a reason for a line. They will come again, she fears. for infant insomnia, we agreed. How old is your boy? nearly died at his birth when my heart gave out. unbidden, that mirrored mine over fifty years ago. We need not speak of miracles, for we embody them. downed the liqueur, her crucifix bouncing. high as an altar, with practised grace. Not many collections combine grief, heroism, spirituality, sensuality and humour so rewardingly. Even for an atheist like me, this collection is addictive and fun.